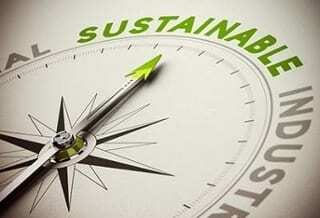 Sustainability has evolved from an interesting buzz-word in the halls of industry and academia into a comprehensive strategy shaping institutional initiatives and producing innovative, active solutions to some of society’s most perplexing issues. One pillar of sustainability initiatives is minimizing the negative effects of chemical and energy misuse. Renewable and sustainable energy sources, elimination of harmful chemicals that pollute the air and water, and recycling of waste products are some general objectives of sustainability. Sustainable processes and products are constantly being developed and adopted at universities, municipalities, and corporations to achieve this mission. For individuals passionate about advancing sustainability, there are a number of avenues. For an individual starting out, universities offer a fertile breeding ground for creative ideas, research and solutions for sustainable practices. Many academic programs are designed to promote sustainable management, chemistry, environmental and ecological sciences. Parks and Recreation management is a governmental discipline that stands at the forefront of sustainable activity. There are even areas of law geared toward sustainable resource management and environmental preservation. State and civic planners are becoming far more conscious of resource, land and energy management in their approach to new and rehabilitative projects. Historic preservation is another important option in many communities for preserving existing infrastructure rather than subjecting the environment to the taxing processes of bulldozing and rebuilding. People are best led by example. Universities and corporations have found that certain sustainable practices offer economic benefits in addition to their obvious environmental attributes. Facilities and maintenance managers are implementing and retrofitting highly efficient, renewable energy systems along with recycled construction materials. For parking lots, some universities, parks departments, and military installations are using porous paving material with low-VOC soy-based striping paint when constructing new roads and parking lots or manicuring existing ones. Within communities, governing bodies should continually enhance their applications of sustainable practices. Programs such as “zero waste” events and recycling drives can provide a platform for communities to showcase their sustainability efforts and foster sustainable decision-making among citizens. How are you preparing your company and community as the future of sustainability continues to evolve? Share your thoughts in the comments!